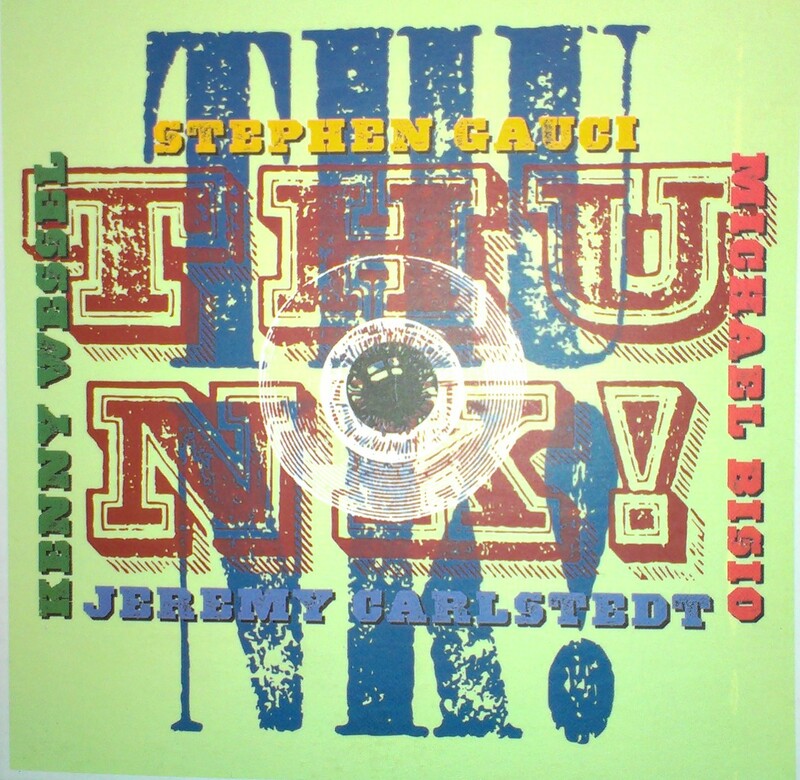 Thunk is a collaboration between NYC based modernists Stephen Gauci, Kenny Wessel, Michael Bisio, and Jeremy Carlstedt. The concept of the ensemble is to approach the music of Thelonious Monk not with mere respect, but more importantly, with integrity. This entails examining each composition with an ear for it’s essential musical elements; for that which without, the song would no longer function. Bringing the music to life in the present tense, any superfluous “historical” or “stylistic” clothing is shed. In other words, it’s not about bebop. It’s about finding that musical kernel in each piece; it could be an interval, melodic line, rhythmic motif, or a just a vibe; and letting it manifest as a natural expression of the here and now. We also just dig the tunes..